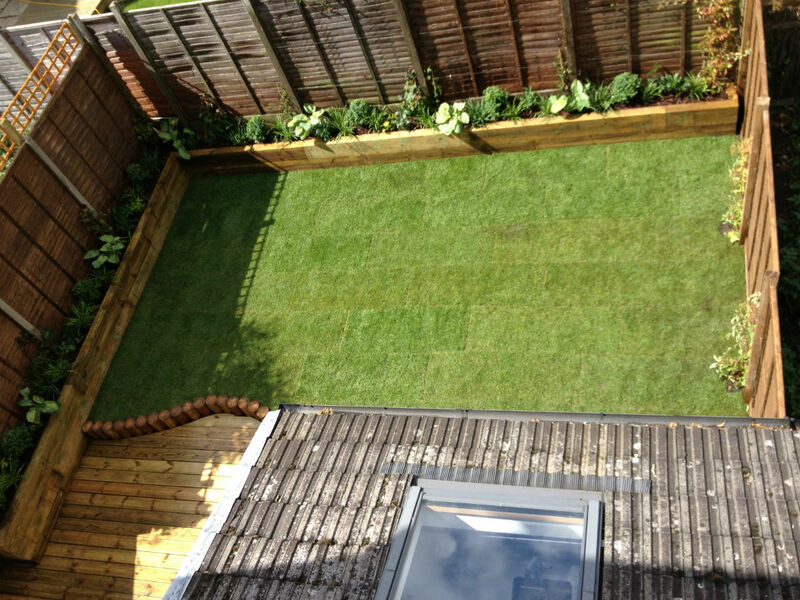 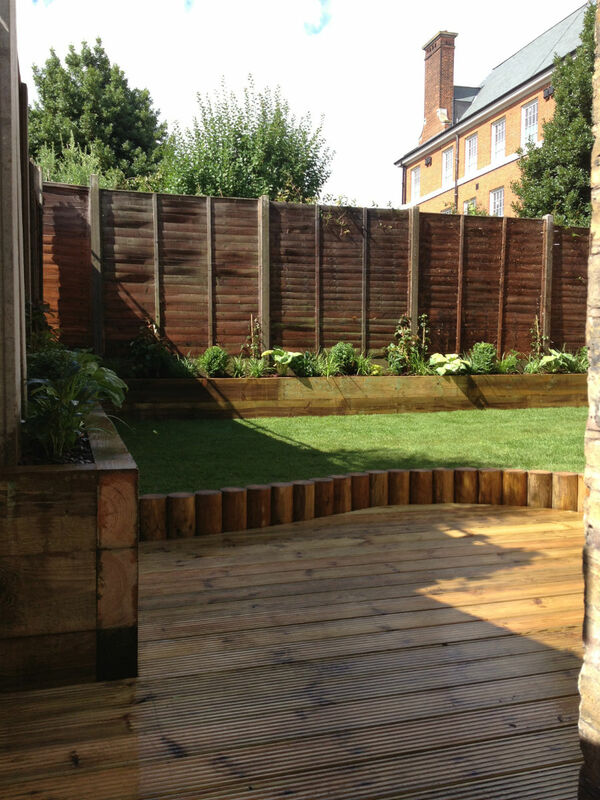 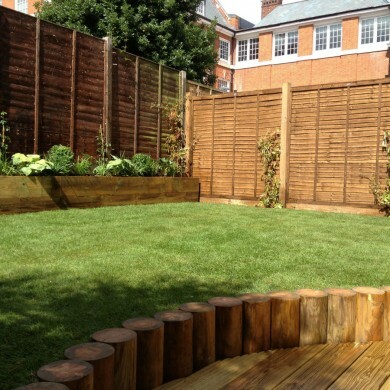 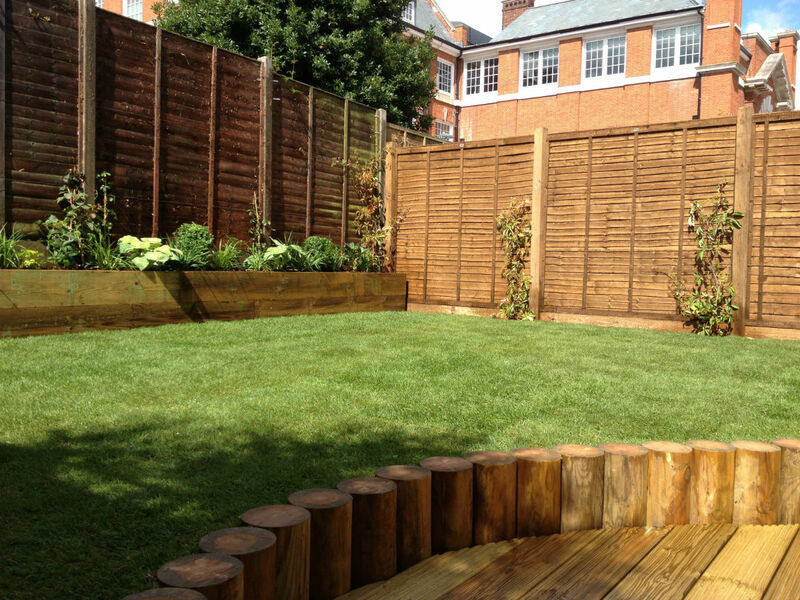 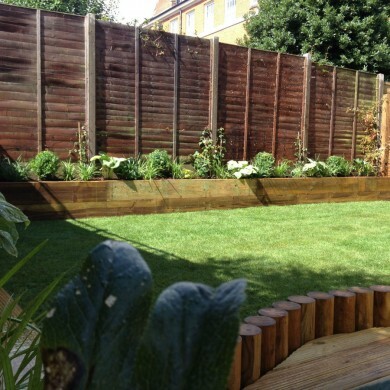 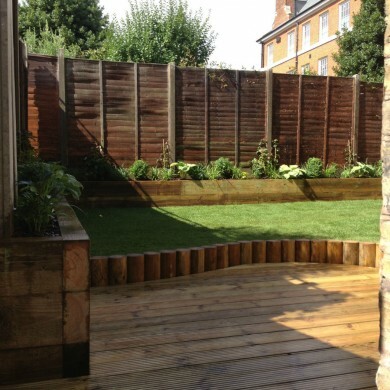 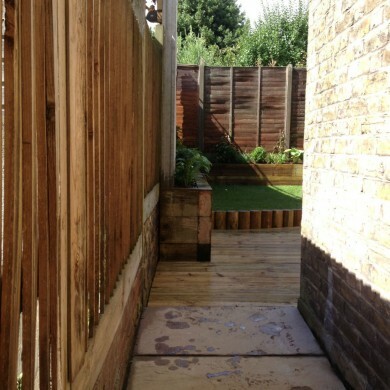 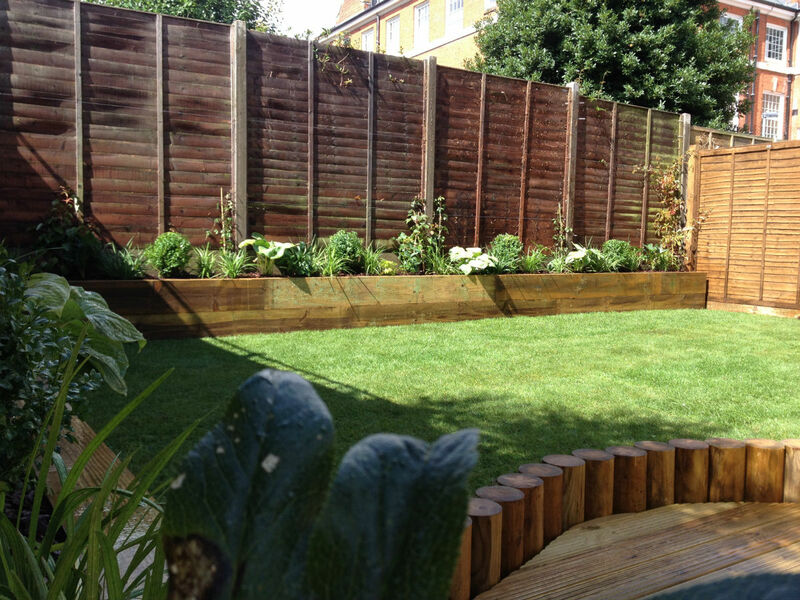 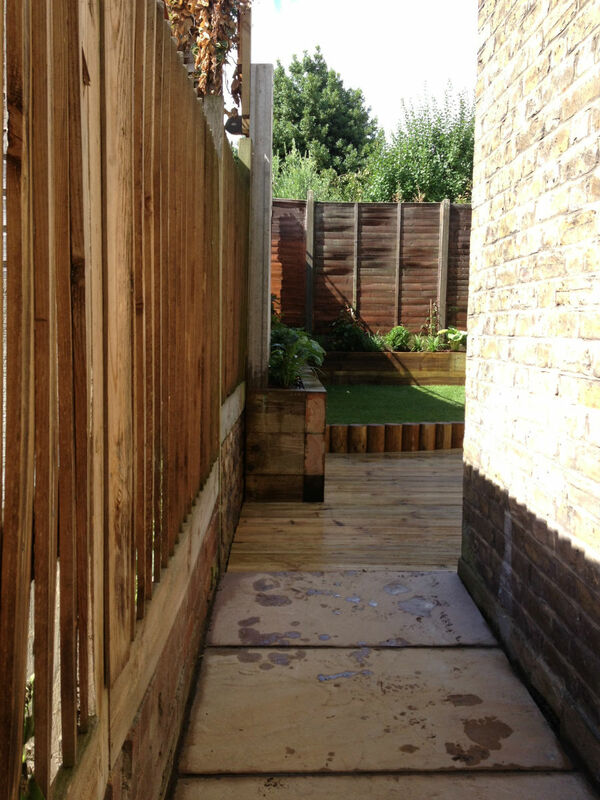 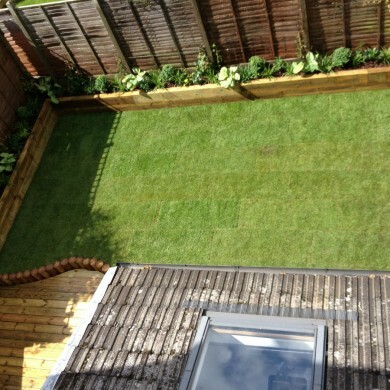 This previously unloved Tulse Hill garden in South London needed a complete overhaul and the hard working owners needed a garden design that delivered a low maintenance space. 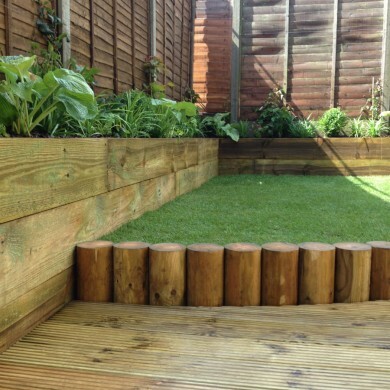 We divided the garden space up and created interest with different stepped levels, a raised lawn and beds with planting that need little upkeep. 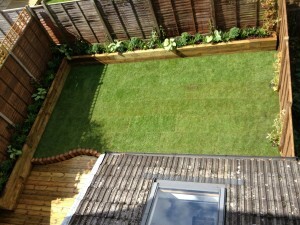 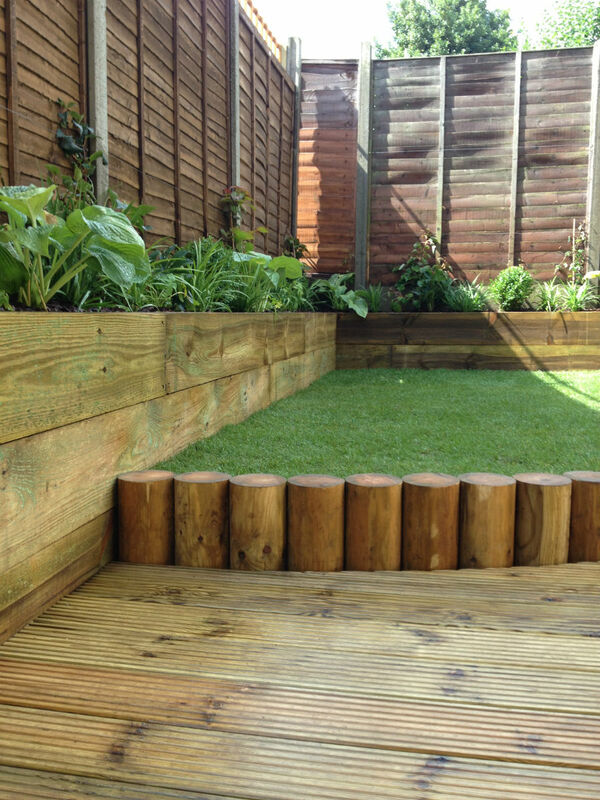 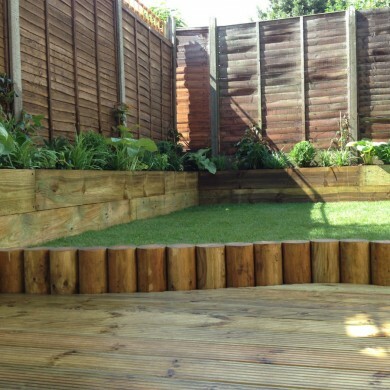 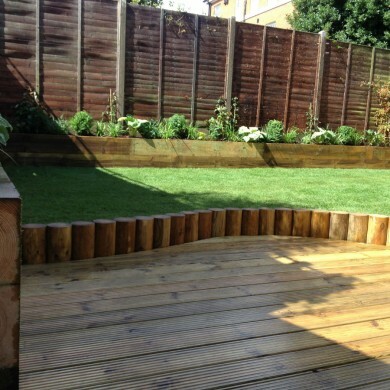 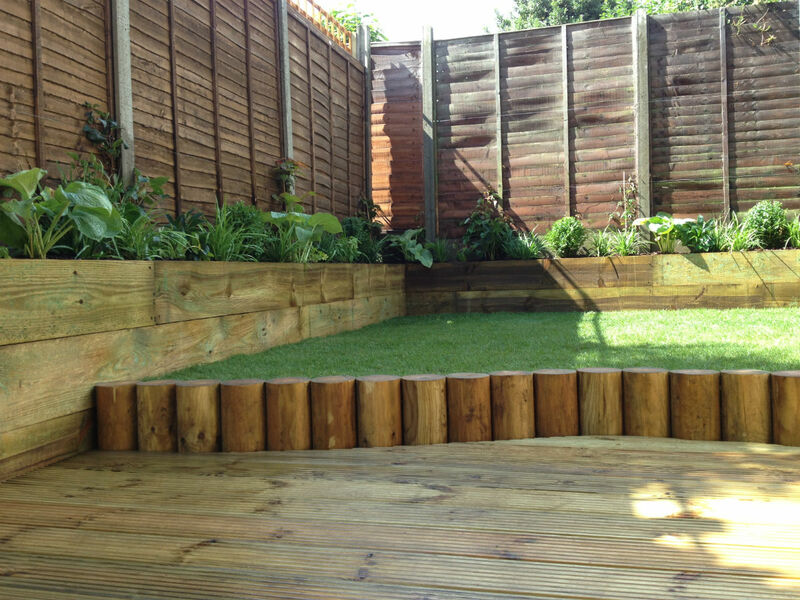 The levels above the softwood deck were created using edging and raised sleeper beds. 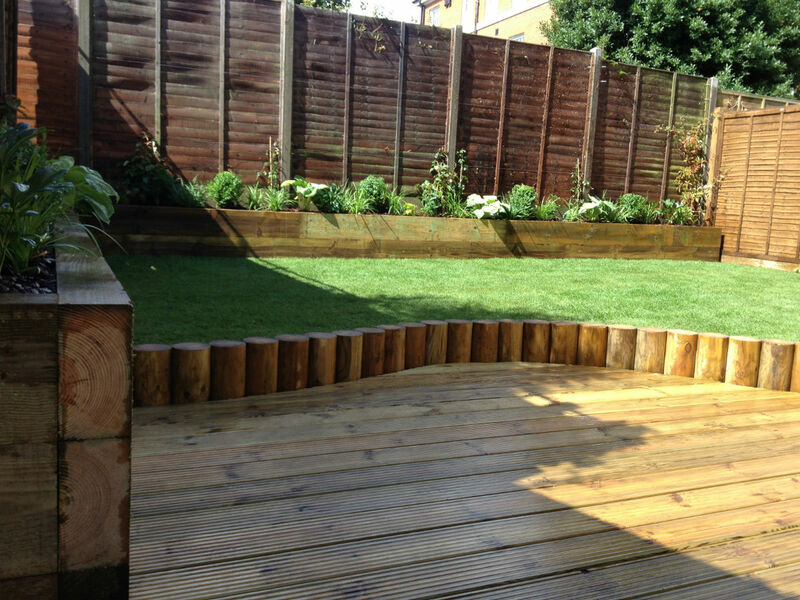 The Tulse Hill gardener has softened the garden look and feel using curves.